"Once you get the dust of Africa on your boots, you will never be able to kick it off." Zikomo Safari is in Zambia, across the river from South Luangwa National Park. It is set a midst an ancient valley filled with diverse African wildlife. This peaceful Eco Hotel in the African bush offers spacious accommodations: comfortable handcrafted chalets, or, if you are self-driving, an expansive campground on the riverbank. A central Main Hall offers a fine restaurant, bar and gathering place overlooking the swimming pool and the sprawling flood planes of the tranquil hippo filled Luangwa River. Only a forty-five (45) minute drive from Mfuwe International Airport, this affordable Eco Hotel is in an area away from other safari lodges, camps and accommodations. Zikomo Safari is spread under a canopy of ageless shade trees on the banks of the Luangwa River. It's placement in the isolated Nsefu sector allows guests immediate access to one of the least crowded and most wildlife rich areas in the world. Whether you choose a driving tour to view the abundant wildlife (game drive), an exciting bush walk with a trained armed scout, a call on the local village for some tribal culture, or time out simply relaxing in a hammock, your visit will amaze you. Zikomo Safari is the perfect setting for your Zambian Photo and Wildlife Viewing Safari. Zikomo Safari is laid out along a verdant bank of the Luangwa River under a canopy of flowering shade trees. The campus was designed with ample space around each building, a reflection of the surrounding open bush. The eight chalets are well furnished with en-suite bathrooms and private decks overlooking the Luangwa River and wildlife. During the day, a wander through the camp offers an opportunity to enjoy the vistas and take photos of the river and flood plain with the ample wildlife there. Once the sun sets, because nocturnal animals can be a potential danger, we ask guests to be accompanied by one of our security team. We stayed at Zikomo during August 2013 for six nights. It was our first time in Zambia and what a delight it was to enjoy South Luangwa from the edge of the river at Zikomo. Victoria, Demian and company were all very helpful and nothing was too much trouble. We had a great camping spot under a big tree with views across the river. We did a guided morning walk and an evening drive with Zikomo both of which were excellent, seeing elephant close up in the morning and leopard in the evening. For the rest of the stay we did our own self drives in the park and it was quiet, with few other vehicles so it felt as if we had the whole place to ourselves. Zikomo is just far enough away from the other camps to really feel as if you are in the bush on your own. 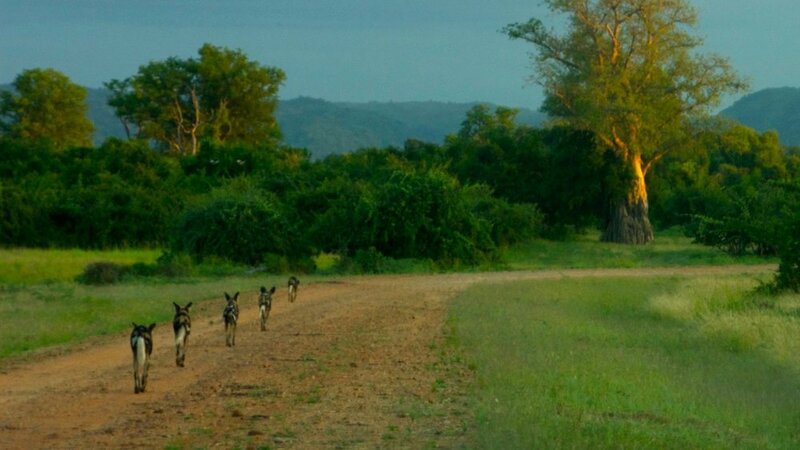 Zikomo really does tick all the boxes and South Luangwa is the most stunning National Park. We will be back. Zikomo is a true nature paradise with magnificent camping spots along the riverside. You can visit the national park or stay at your leisure in front of your tent and see the buffalo and elephant strolling in front of you. You can hear at night the sound off Africa; roaring lion! The staff is amazing. Friendly and helpful. The bartender takes care of your cold drinks. There are bush walks with experienced guides. What can you ask more? We are coming back! Awesome – Zikomo is one of the best we’ve stayed in. The host is very welcoming and always helpful. Pity we never had the chance to enjoy drinks on the deck while watching the world going by because of our busy schedule.